The beautifully appointed fifteen thousand square-foot clubhouse features: Business Center Concierge Services: Meeting Rooms Video Arcade Billiard and Card Rooms. A Resort-style Pool, Picnic Pavilion, Jogging Trail, Catering Kitchen. And there is more: Aerobics And Machine Exercise Areas Steam And Locker Rooms Space For Gatherings Of Up To Two Hundred Theater. 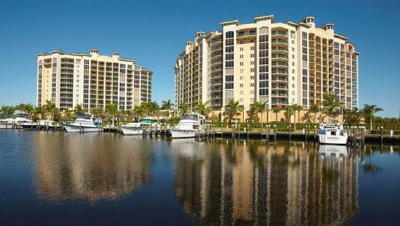 Poolside Cabanas Spa Marina with Dock Boxes and Hook-ups Tennis Courts, Sunning Beach, Pet Walk.